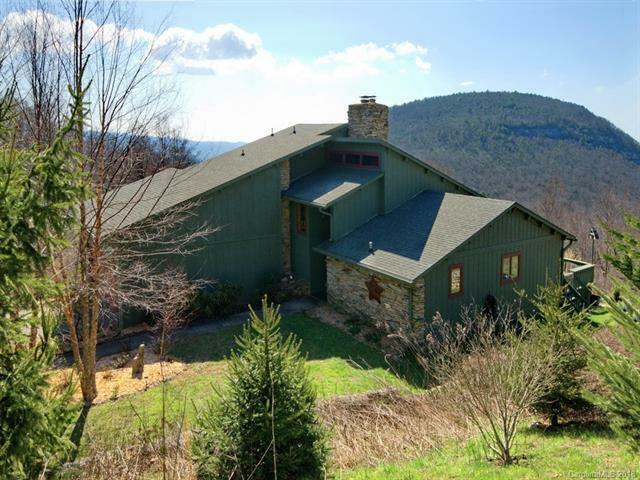 736 Banks Mountain Drive, Hendersonville, NC 28792 (#3373673) :: Robert Greene Real Estate, Inc. Fantastic mountain view from this rustic post and beam home! The great room features vaulted wood ceiling, soaring stone FP with wood burning stove, random plank pine flooring, open kitchen and dining with pantry and sliding glass door to the covered & uncovered deck. Main level master suite with vaulted ceiling and the view! The south eastern exposure provides passive solar heat plus electric wall heaters w/ thermostats in each room. Two bedrooms and a bath upstairs, plus hobby/bonus room. Lower level game/media/office with wood burning stove. Private well and septic. Great yard space for gardening and play!